So sorry I’ve been gone so long but I’m back online so let’s get to it! The next few posts will be about my move but they will be beneficial for anyone trying to make the most out of their space. The first thing I did before the move was get rid of anything I didn’t love and use. When I found this place I immediately started thinking of how I could use what I already owned in this new space but since I couldn’t get dimensions to double check what would fit (the place was renovated before I moved in and the guys were still finishing up to the day I moved in), I took it all with the hope of reusing as much as possible. Otherwise I would have sold or donated anything I knew for sure I wouldn’t be using here. My things are sorted into categories and placed where they’ll eventually go, keeping all decorative pieces to the side. I’m using some storage ideas from the last place like using the hooks on the inside door to hold a small garbage bag, and storing my vacuum under the sink. Knowing I was going to use the existing closet as a coat closet, I’ve hung my clothes on the two portable garment racks I have for work while I plan out my new dressing area. I am thrilled to see you going through the process with all of us. 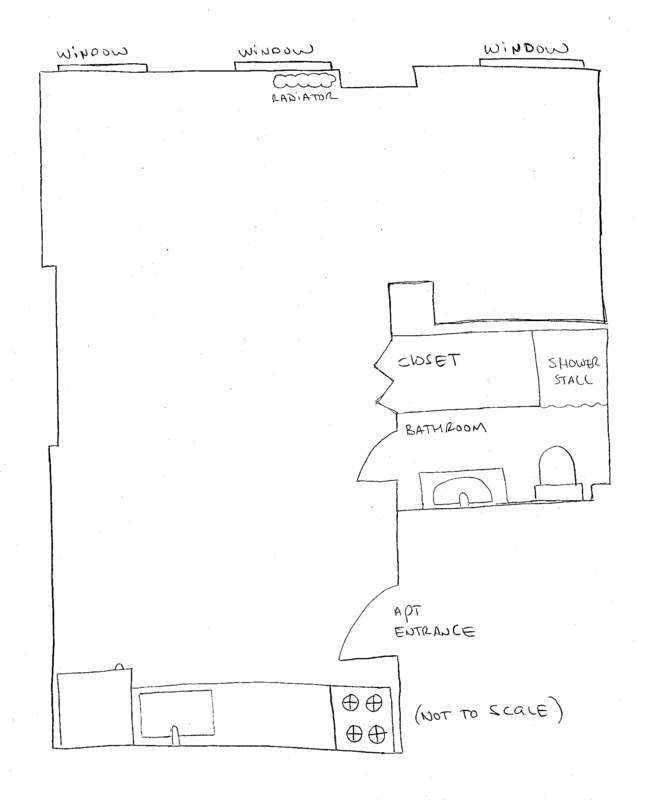 My family of 3 just moved from a miniscule place to a tiny 2 bedroom (@500sq ft). Before the move, I actually got rid of about 40% of our “stuff”. It is a good feeling to surround yourself only with what you love and use. I look forward to your future posts! Wow… even your moving process is super organized. Impressive!You make it so easy to take the stress out of moving and unpacking. Laura, you’re an organization inspiration! I love your philosophy and also look forward to future posts about your new place. Happy New Home! Looking forward to your posts and learning from your new space.I’ll be moving this summer, and am resisting the urge to buy new things for the place. I plan to “shop” from the things I have when I unpack.